Her story from rags to fame is extra-ordinary but real. All she did was "waka pass" (walk past) a TY Bello's shoot for British-Nigerian rapper Tinie Tempah. And then TY extended a little help to her. 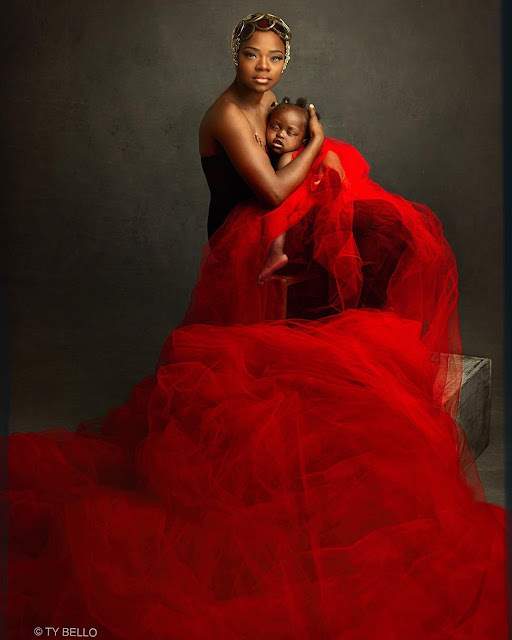 TY Bello is a famous Nigerian photographer and artist (from the Gospel group - KUSH). 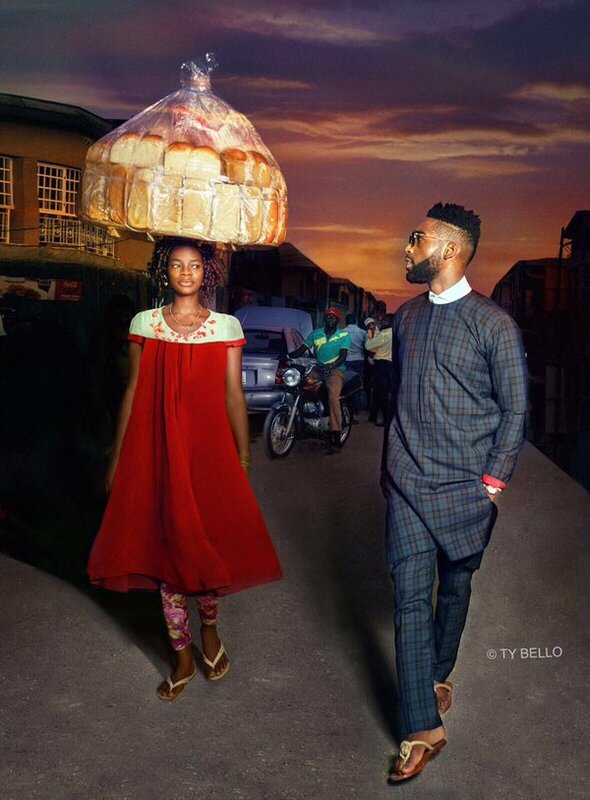 She was doing a photo shoot when this bread seller stumbled past the set. Well she thought she added a little "zing" to the shoot, so she continued with the photo shoot. After the session, she found that she really needed to find the bread seller. She then posted on her Instagram page asking for anyone who knew the lady. TY Bello’s assistant went back to the shoot scene and found her. Olajumoke said that someone told her that he saw her on Facebook and that TY was looking for her. 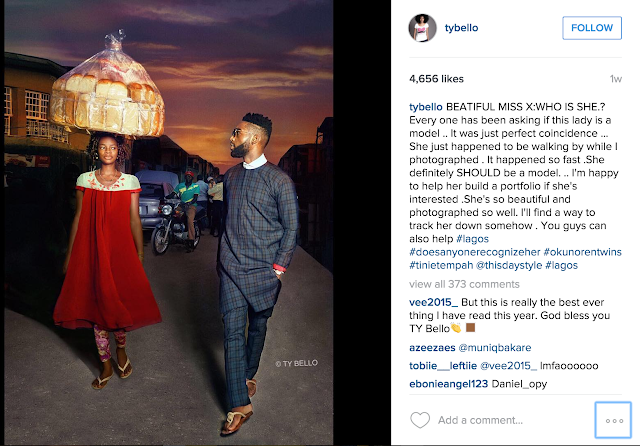 So she hung around the scene awaiting TY Bello. So I found her ...our beauty from the@tiniegram shoot and boy have I got a fantastic story to share with you all. 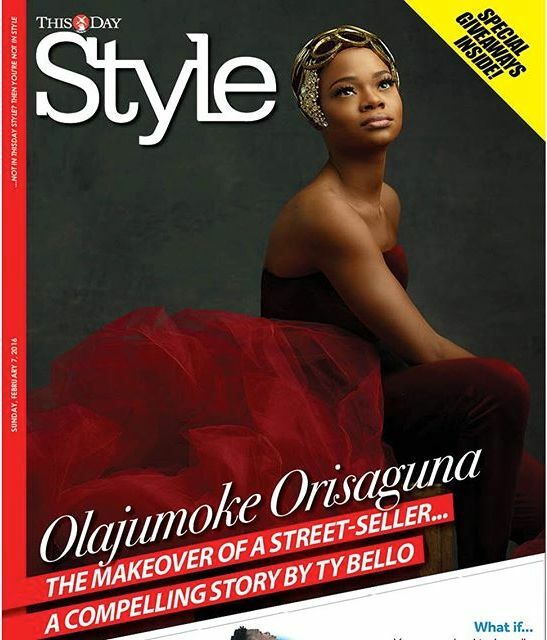 And on the 7th of February, she graced the cover of ThisDay Style. 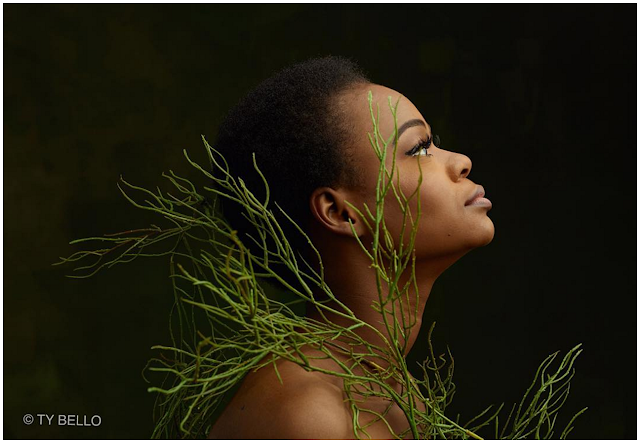 OLAJUMOKE ORISGUNA : GRACE ( part 3) During the course of the day, @emaedosio who was making a short documentary about the process had asked her what she really wanted to do . 'Ka ma kiri Buredi ko suwon ' she explained that bread hawking wasn't the most profitable business but put enough food on her table . It also put a roof over a head .. Howbeit a roof she shared with scores of other hawkers . She was a trained hairdresser back in Osun state but her family could not afford the necessarily 'freedom ' ceremony ; a passing out ritual that gives a trainee a sometimes unwritten permission to start a full fledged salon . We all decided that the make over would be incomplete if it ended at the studio . Every one started to reach out to their contacts and through Bimpe we were able to get her a meeting with Ugo the pioneer of Make-me salon . As a result of the buzz she generated from the Thisday cover Our model is now close to starting an internship at @makemesalon and has been offered a additional internship with @sarisignature a famous Lebanese owned salon on the island island . To pay Jumoke her model fee from her first job in front of the camera we called @_ujumarshall one of Nigeria's And matched her fees .She's been offered a modelling contract with the help of @godsonukaegbu from a@fewmodels .She's also had @payporte reach out to her to be model on their next billboard campaign . This is clearly only the beginning of another chapter in Jumoke's story . Though it seems accidental it s clearly Devine . Just this morning ,mentor of mine offered to foot the bill for her accommodation ,education as well as her child's .. This finally makes it possible to be finally reunited with her husband and older child .